Good News！IEEE CCET2018会议论文集已成功被EI Compendex和Scopus检索. 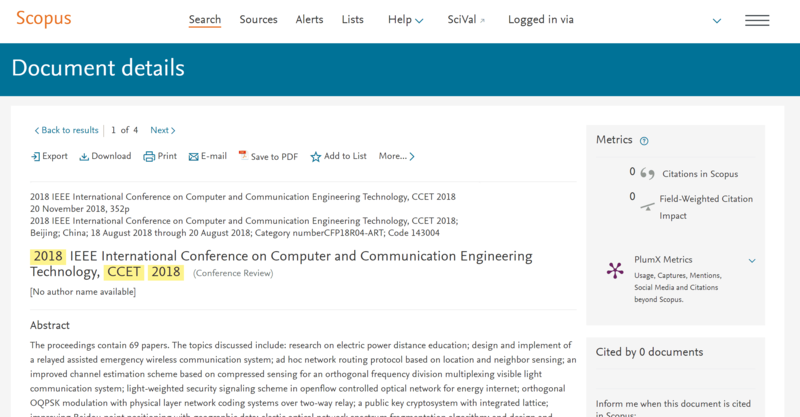 | IEEE CCET2018 conference proceedings has been indexed by EI Compendex and Scopus. On behalf of the Organizing Committees, it is with great pleasure that we welcome you to the 2019 2nd International Conference on Computer and Communication Engineering Technology (CCET 2019), going to be held in North China University of Technology (NCUT), located on the western side of Beijing, China during August 16-18, 2019. CCET 2019 is hosted by North China University of Technology (NCUT), co-sponsored by School of information, NCUT. 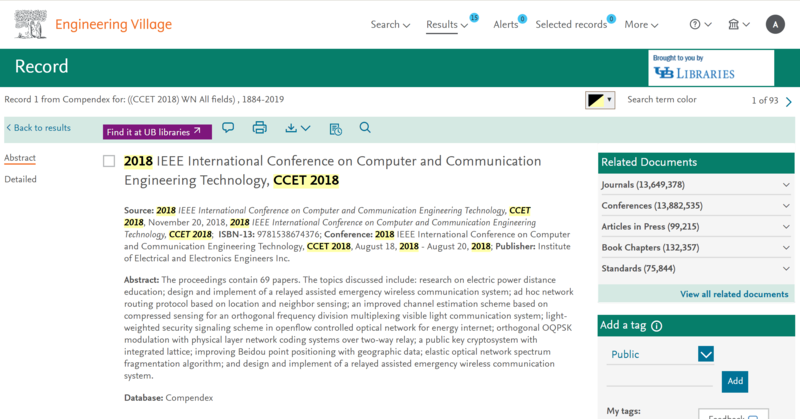 CCET 2019 will keep promoting the information exchange on communication technology, which aims to promote international academic exchange and international cooperation, and provides an opportunity for researchers around the world to exchange ideas and latest research results, in both theory and application of communication technologies. It will deliver a rich technical program discussing the future of Computer and Communication Engineering Technology, offering distinguished keynotes, panels and technical sessions. The technical sessions will consist of technical papers reviewed and selected by an international technical program committee representing both academia and industry, with a strong standardization background. Through the years’ development, Beijing has become an international cosmopolis. North China University of Technology (NCUT), located on the western side of Beijing, is a multi-disciplinary university that combines the natural sciences and engineering with liberal arts, economics, management and law. Growing out of the former state-run Peking Advanced Vocational School of Technology, founded in1946, NCUT has undergone dramatic changes ever since. We look forward to welcoming you all at the CCET 2019 in Beijing, China.